When you are hooked up with eating junk food and sweets, the cravings are caused automatically. What you need to do is work hard to maintain a balanced diet and keep your blood sugar even. This will help you get rid of the highs and lows on cravings and also it will help you control your weight as well. If you make a healthy and balanced diet your number one priority; then these are the guidelines you must follow. Also, check out the superfoods for kids and toddlers. Start with a good breakfast to maintain the energy level throughout the day. Have regular meals or snacks in small portions every 2-3 hours. Make sure to find nutrition in your craving foods. Thirst is usually confused with hunger or cravings. If you feel that you have a sudden urge for a particular food, drink a large glass of water and your craving will fade away within a few minutes. This is because your body was actually thirsty. Also, drinking water before meals can help you with weight loss as it reduced the appetite. 3. Stress Is Your Biggest Enemy! Stress always brings eating disorders, especially for women. 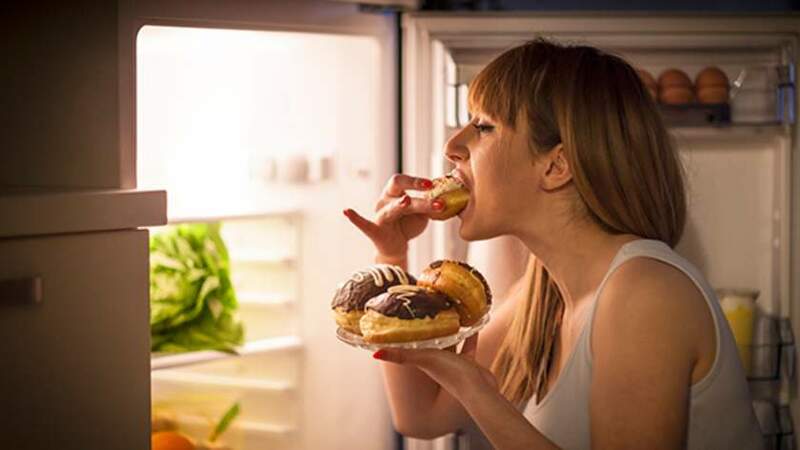 Women tend to eat more when they are in stress and end up consuming more calories and have more cravings as compared to non-stressed women. Stress raises blood level and a hormone that makes you gain weight. Keep the environment light around you, meditate and try to stay happy always! Regular and moderate exercises can lift your mood and help reduce your craving too. Try to work out for at least 30 minutes daily. Whenever you feel that the craving is hitting you, try to distract yourself by going for a walk, talk to a friend or do a puzzle. Usually, cravings go away in 20 minutes. 5. Sleep As Much As You Can! Sleep deprivations interrupt appetite hormones and cause fluctuation and lead to poor appetite and strong cravings! Getting good sleep is one of the powerful was to prevent cravings from showing up.